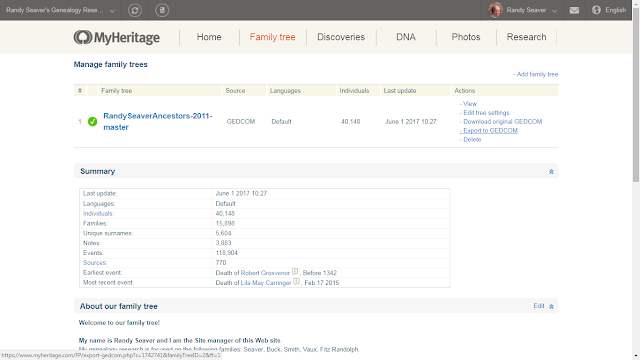 Genea-Musings: Dear Randy: How Do I Create a GEDCOM File From my MyHeritage Tree? 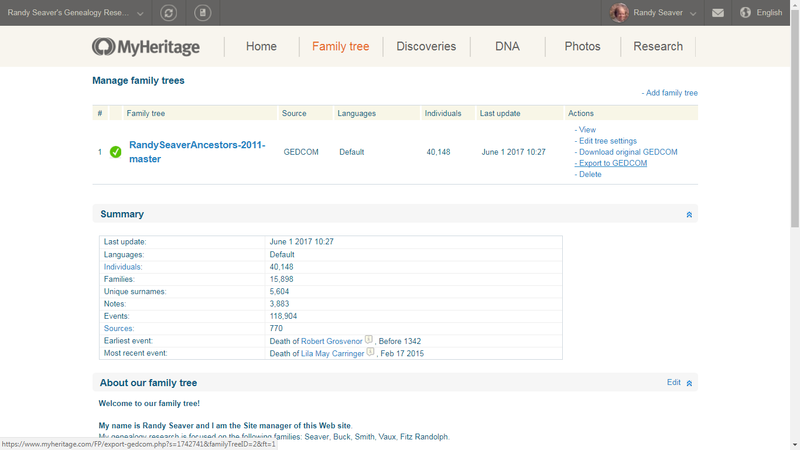 Dear Randy: How Do I Create a GEDCOM File From my MyHeritage Tree? 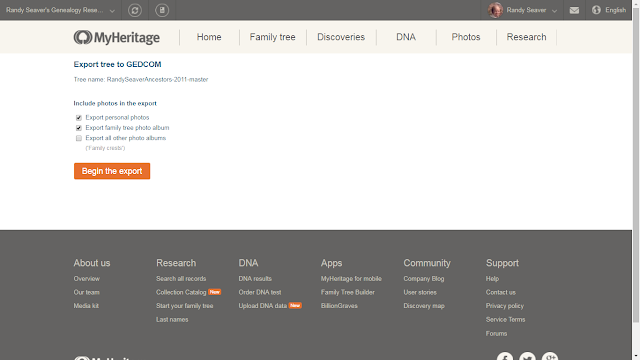 1) Open your MyHeritage account. 4) For each of your family trees, there are five Actions on the right-hand side of the screen. One of them is "Export to GEDCOM." 6) Click on the orange button to "Begin the Export." 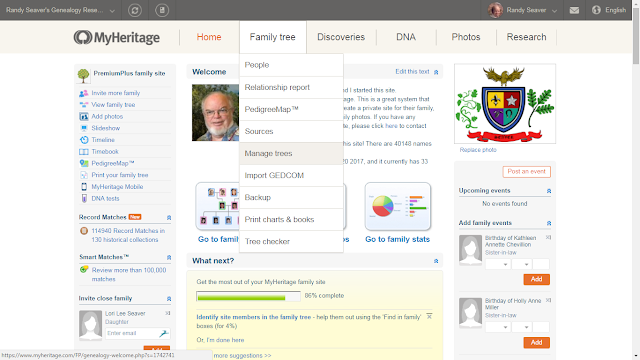 7) The export should start and when it's done, you should receive an email from MyHeritage with a link to view it. 8) In the email, click the link and the GEDCOM file should download to your computer. Mine downloaded to my Downloads file folder in Windows 7. You should rename the file to something you can recall with a .ged file extension and move it to a file folder on your computer where you can access it. That's it - easy peasy!! Once you know the secret sauce, of course [I had to use the "Help" link at the bottom of the home page screen]. Disclosure: I have a complimentary MyHeritage.com subscription, courtesy of MyHeritage. That does not affect my objectivity in discussing and evaluating their product.